WA’s never more alive than when Fringe World rolls around – a cavalcade of award-winning Australian and international acts entertaining audiences over one action-packed month filled with “oohs” and “ahs”. There’s also an army of local talent set to sizzle at one of the biggest Fringe World festivals ever – talented performers who, like us, are proud to call WA home. Recent chat around the Kleenheat water cooler has uncovered some of the local shows and spaces we’re excited to explore during this year’s festival. 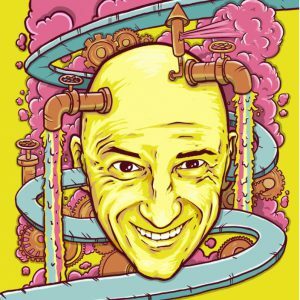 More than 20 years ago, Matt Hale decided to make Perth is new home and he hasn’t looked back – taking his flair for comedy hypnosis from tin sheds in rural WA to cruise liners and sold-out shows across the globe. In his fourth stint at Fringe World, Feelgood Factory will have audiences leaving with a bellyful of laughs and plenty of warm fuzzies, whether they’re on the stage or in the audience. Where: Megamouth at Yagan Square; Piazza at Cockburn Gateway Shopping City; Big Top at Sunset Veranda at Scarborough; Redmond Theatre. What’s a Fringe World without the our favourite mermaids making plenty of happy waves at The Splash Zone? Perfect for the young and the young at heart, the mermaids are the darlings of The Pleasure Garden and a must-see for anyone yet to experience the magic of Fringe. If you’re yet to experience a Fringe World Mermaids performance, drop by to blow a kiss, hear a tale, or just enjoy a splashy afternoon. Remember to have a towel handy as audiences can get wet – which can be welcome relief on a warm WA summer’s day! WA’s in the midst of a craft beer explosion, with local brewers hopping over one another to produce fruity, funky and flavoursome fermentations. In all the froth and bubble, it’s easy to get lost in a sea of acronyms – IPAs, IPLs, NEIPAs – but throw a comedian-and-beer-drinking expert into the mix and it all makes perfectly-hilarious sense. 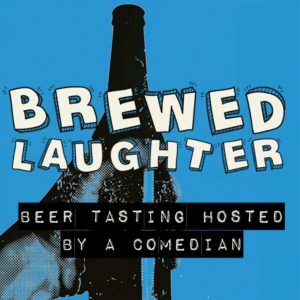 Expect a delicious voyage of the frothy senses, with a new comedian and different beers each show and five tastings included in with your ticket. Perth-based fashion photographer Tasha Faye introduces a photo series exploring the distinct identities of women of colour in WA, their experiences, and what it means to exist in this world being a woman and non-white. 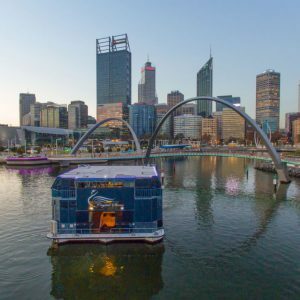 The Perth city skyline provides your backdrop for cruising our beautiful Swan River as local bush poets share stories and spin memorable yarns. Inspired by the timeless work of Banjo Patterson, lovers of bush verse will enjoy listening to a special performance covering a range of favourites from poets past and present – plus unique and funny stories about characters from remote Australia. A stone’s throw from FRINGE Central at The Perth Cultural Centre, The Pleasure Garden at Russell Square is Perth’s favourite Fringe playground. Enjoy a smorgasbord of ticketed entertainment, plus buskers, fabulous food and drinks, the Fringe World Mermaids and special kids programs each weekend. Explore the new Scarborough Beach at Fringe World’s new pop-up bar location, enjoying stunning sunsets over the Indian Ocean. Enjoy Insta-worthy views and the seaside vibe for free, or keep an eye out for exciting shows – such as the Sunset Veranda Comedy Gala – entertaining crowds in the Big Top. 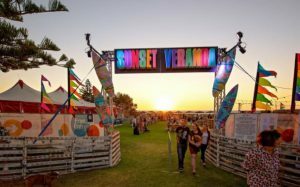 Fringe World has transformed Urban Orchard into a local paradise harking back to the glory days of the 1990’s in WA’s tropical north. Think pub rock silent discos and cocktail-inspired Sunday sessions set to reset your body clock to Broome time. 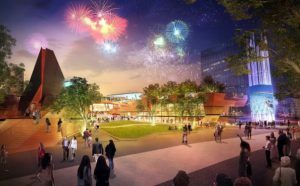 Yagan Square has undergone its biggest transformation yet – with a Fringe World takeover turning our newest city hub into a major festival entertainment zone. Meet your friends where the city meets Northbridge and five pop-up performance venues will have you spoilt for choice. Perth’s hottest pop-up venue is back on the scene, serving up delicious food, cold drinks and good vibes – the perfect meeting spot for your 2019 Fringe-binge. Yum! We get it – picking a Fringe show can be delightfully challenging. 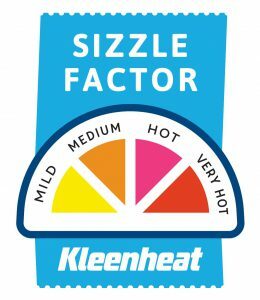 If the shows above aren’t tickling your fancy, the Kleenheat Sizzle Factor is on hand to help select the perfect Fringe World show for you. Enjoy! Have been to a few Fringes now and would not miss it in a million years. Best shows I”ve seen in I don”t know how long. Perth really comes alive when the Fringe is on! Some really good shows this year, hope you catch some good ones. We hope you get to go to the cricket to Brian! I have never been to the fringe shows but the ones you have picked look fantastic thanks. We hope you get to go to a couple this time Barbara! Plenty of comedy shows to choose from! Went to FRONT at State Theatre Rehearsal Room about a Rock n Roll Band. Dramatic and dynamic production local Perth cast and writer. Thanks for the recommendation Barbara! Hope you had a great night out. Would love some comedy in my life love a good laugh .Like the old saying says: Laughter is the best medicine and it certainly is.